TV Tuners Archives - C:Amie (not) Com! It is highly possible that this error can be seen on other Hauppauge cards aside from my experience with the NOVA-T-500. This happens if you use the CD to install from, download the latest driver package or try to use Windows Update as a means to save you from yourself. Quite simple, Windows cannot find any driver for the application. My instant feeling of dread that I knew precisely what was going on aside, let me walk you through the problem; but before I do, let me give you the bad new right now – unless you have clumsily managed to half insert the NOVA into the PCTV slot, you will be in need of an RMA number because your board will not work. On inspection the NOVA-T-500 is actually quite clever, Hauppauge have elected to keep their dual-tuner configuration as simple as possible, by sticking to what they presumably know works. The NOVA-T-500 is in effect nothing more than a PCI USB 2.0 Controller card with two USB 2.0 DVB-T tuners and a USB IR adapter connected directly to the controllers internal bus. Creative! I actually just wanted to spell that out because I do think that is is quite a novel approach to their card design. Most modern controller devices, while in their uninstalled state will usually have some sort of identifying attribute, yet here all we receive from the NOVA-T-500 is “HOOK”. Here is the problem. All modern devices, PCI, USB, AGP – you name it – have a Plug n’ Play identifier (PnPID) which informs the operating system over who (in hexadecimal terms) manufactured the device (the Vid) and which device in their product inventory was just connected to a respective system bus (the Pid). To check your PnPID, all you need to do is visit the Details tab for the device properties in the Windows Device Manager (you can also locate it in the registry if you know where to look). 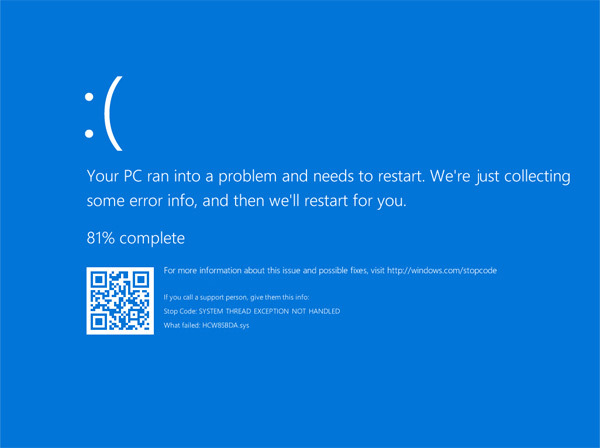 This explains why Windows was unable to locate a driver, the PnPID in the device driver cannot be matched to the one being identified by the PCI device and as a consequence, the driver installation fails. 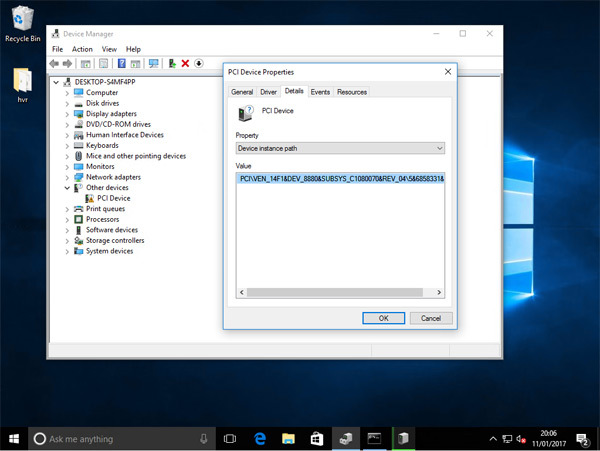 It is possible, from time to time, to rewrite the driver ID’s (it will break WHQL certification) so that you can force Windows to mount the driver and load the hardware, I have done this several times quite successfully in the past and naturally wondered if this was going to be possible this time around. I needed to know the correct PnPID for the NOVA-T-500 and after a lightning search on the web, decided to give Hauppauge UK’s support a call. Sadly this was too technical for them, and they wanted me to phone Hauppauge support in the USA in order to out line the problem to a developer rather than to technical support. I did explain the whole EEprom PnPID issue to them, but these are effectively sales guys who have to pass everything back to HQ in the states that doesn’t come up on the expert system/knowledge base. While I was explaining the PnPID concept to Hauppauge support, I started playing around with the driver files, and in reading through happened to notice that one of them did indeed contain the Vid/Pid combination being broadcast by my device. With finding this, I now have confirmation of what I suspected was the problem. The EEprom was blank! For reference the “;” is a REM statement to comment out the information from being read by the Windows Driver loader, however the plain text comment for the section (found in hcw95all.inf, hcw95all_64.inf, hcw99bda.inf and hcw99bda_64.inf should you want to look) confirmed my suspicion. This Vid/Pid is used to program the EEprom of the device at manufacturing. My device had somehow skipped this part of its assembly, been boxed and found itself inside my computer – if it was going to happen, it was going to happen to me, of course it was! The missing EEprom information explains why the device is identifying itself as “HOOK” to the system, with the EEprom in place, the PnPID tag would be decidedly different, without it we simply get engineering information. This problem should be fixable by the end use so long as is a run-time reflash procedure and not a JTag style flash prcoess. If the process is JTag based then the card is not a write-off, it can simply be reflashed and sent back out again. Either way, I have put in a support request to Hauppauge US with the information found in this article along with a request to be contacted by a developer/engineer and I shall see if they are willing to release the flash information so that I can fix it myself. Hauppauge UK simply told me to RMA it and that they would look out for a bad batch. Hauppauge USA never got back to me, despite their promises to do so – shame on you Hauppauge. The replacement device from eBuyer arrived and works correctly, coming with the UK 4.0A release CD. Version 4.1 has been out for less than 24 hours at this point, so if you are a user, do go and update to the latest release.